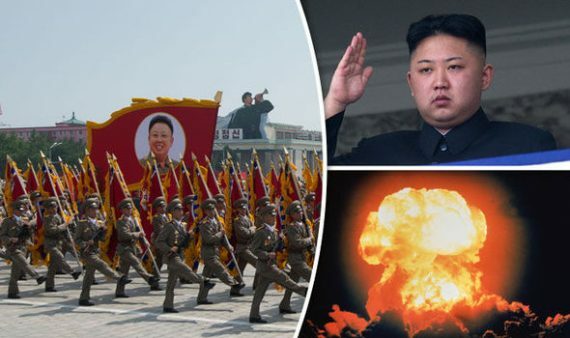 North Korea is preparing to launch a huge invasion on South Korea which may then be subjected to a spray of half a million artillery shells an hour and to 600 chemical bombs destroying airports. Rushing to its aid following this devastating attack by North Korea, the US and other allies of South Korea will end up in the war, warns “Victor Cha”, a former White House Adviser. Hundreds of thousands of lives may be lost in this war that North Korea prepares to wage, he fears. Mr. Cha reveals the scale of North Korea’s combat capabilities. The country suffers from acute shortage of food grains attributed for the most part to UN sanctions. The reign of dictator Kim Jong-Un has been unable to meet the food requirements of the population that is now left deprived and starving. South Korea claims that there is unrest and discontent seething in the people’s minds.